In her 2010 article for the Wall Street Journal, Samantha Cooper wrote of exploring Saigon’s Chinatown, a part of the city that even today is rarely ventured into by fine diners for its culinary offerings—even though it’s widely (and correctly) presumed that some of the best Chinese food in the city lies hidden in its labyrinthine alleyways. Cooper’s wonderfully observant walking tour culminates in a lavish dim sum banquet hall located in the salmonpink towers of Thuan Kieu Plaza, an architectural oddity that she encountered standing on one of the district’s main thoroughfares, Hong Bang. Even then, the complex had been largely vacant for over a decade following some colossal feng shui errors on the part of its developers— the towers not only lacked crucial water features and proper geomantic shielding at the rear, but they also far too closely resembled three sticks of incense, a formation that spooked superstitious local Chinese communities. Following its acquisition by new owners last year, Thuan Kieu Plaza has undergone an extraordinary transformation. Repainted in bright greens and completely enclosed by a golden bamboo motif to restrain its “negative spiritual elements,” the newly-launched Garden Mall has almost inexplicably become Chinatown’s most visible and successful commercial and recreational complex. While the musty old dim sum banquet hall dating from Cooper’s time in Cholon was vacated years ago, those who arrive at the new Garden Mall today hungry for tasty yum char dining need not look elsewhere: one of the mall’s highest-profile F&B tenants is Yau Hau Fook (Level 1, Garden Mall, 190 Hong Bang, D5), the first location in what promises to be a franchise bringing a new wave of dim sum to venues throughout the city and beyond. The large dining area takes up prime space on the first floor upstairs to the far right of the building, and is lightly sprinkled with flourishes of traditional Chinese décor, lending a gentle and spacious tenor to the room that quickly swells with local patrons on weekend mornings—exactly the boisterous atmosphere that makes up part of the appeal of this cuisine. 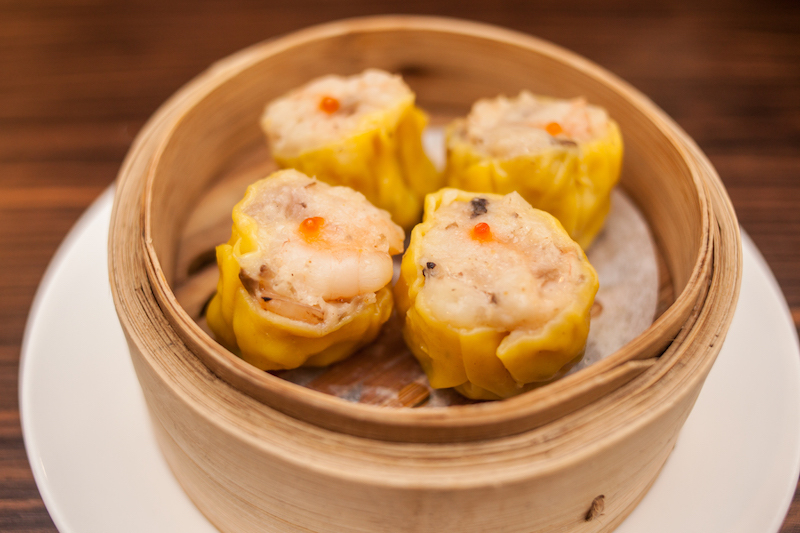 The dim sum style itself is ubiquitous and needs little introduction, but Yau Hau Fook stands out from the crowd for two striking reasons. The first is that the dim sum on offer are not merely the standard Hong Kong variety that most such restaurants limit themselves to. 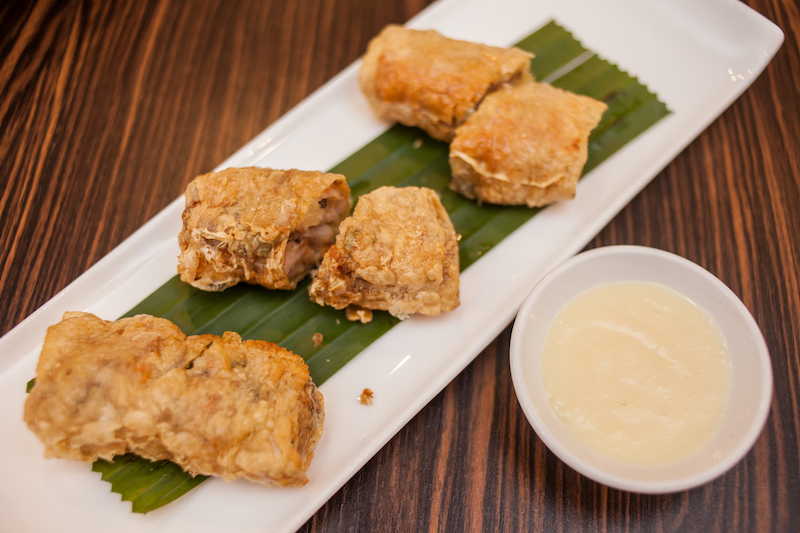 In fact, there’s a purist trend among big-name yum char venues holding that only Hong Kong dishes define the cuisine—by contrast, Yau Hau Fook experiments with Malaysian and Indonesian Chinese dim sum offerings (tending towards the crunchy, salty and spicy) that broaden the range and include more pronounced flavors and denser bites. 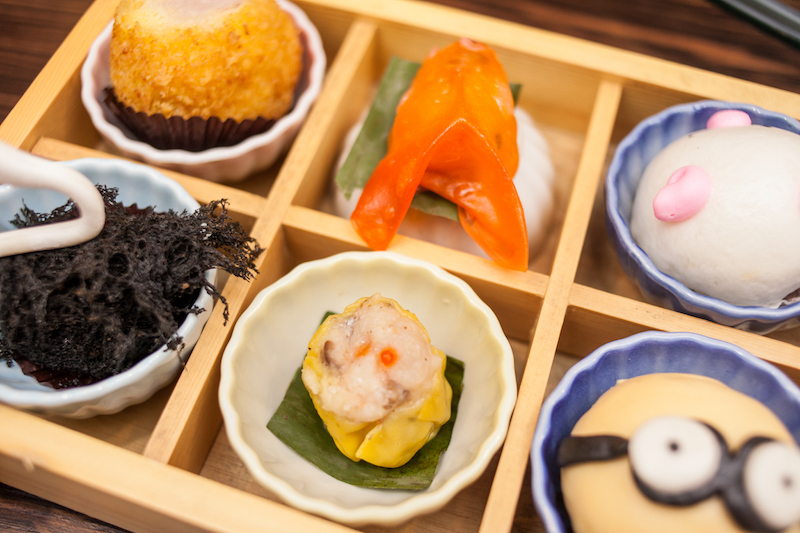 The second feature is the restaurant’s predilection for cartoon dim sum, with dumplings colorfully decorated like Japanese anime creatures. 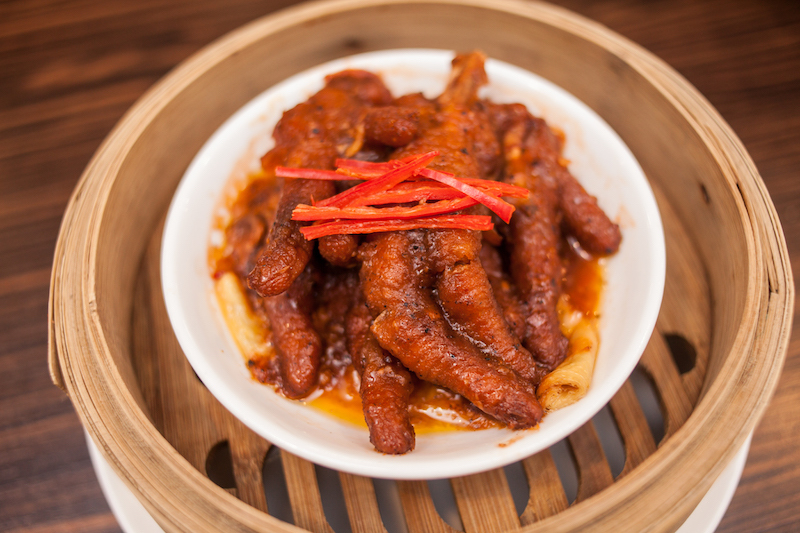 Not only does this give the restaurant itself a playful point of distinction, but it also serves to please the younger patrons and make Yau Hau Fook more of a winner for family dining. 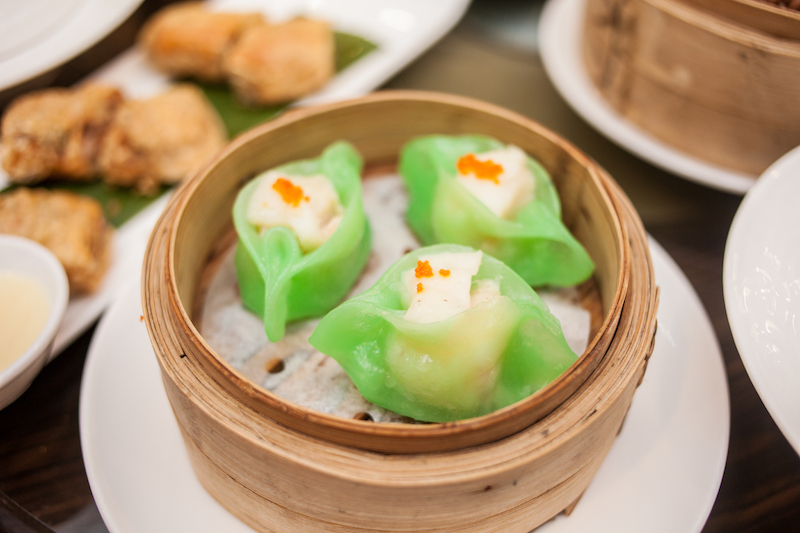 As is customary, we selected a range of dim sum dishes to share at a table of several diners. Some of the classic dishes had great character here: the steamed pork & mushroom dumplings and steamed shrimp dumplings (both VND58,000) as well as the colorful steamed scallop dumplings (VND68,000) had pleasing, contrasting textures and a warm, earthy umami. Our beancurd skin rolls with abalone sauce (VND58,000) were a surprise—these are often served soft and chewy, but Yau Hau Fook’s are crispy and tightly packed for prime density. We also ventured into chicken foot territory: the steamed chicken feet with black pepper (VND39,000) were hardly fear factor material; the skin was taught and slipped easily off the bone, and came soaked in a salty, mildly spicy sauce. We took a break from dim sum proper to enjoy a couple of side dishes— the more luxurious of these being the braised whole abalone with oyster sauce (VND328,000) which had a vibrant density and tasty brine. The restaurant’s cereal seafood fried rice (VND138,000) served as a crunchy and refreshing palate cleanser. The meal wouldn’t have been complete without sampling the signature cartoon steamed buns, and Yau Hau Fook makes this easy by serving a mini dim sum combo (VND108,000) featuring a selection of these. 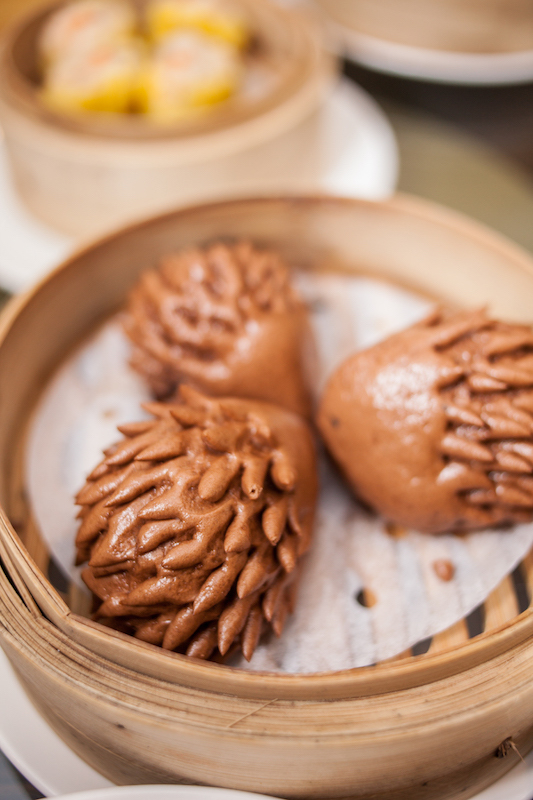 The pig and Despicable Me minion buns were filled with a golden custard center; the brown hedgehog bun (selling at VND58,000 for a tray of three) was a little more radical with a sweet, syrupy filling of delicious chocolate and red bean paste. Other eye-catching bites included a goldfish and a swan, with the combo served in a fun bento box—something the kids will love. If the Hong Bang location is a tad far away, hang around for the grand opening of Yau Hau Fook’s second location on Tran Hung Dao, which is set to open within a couple of months. A master chef has already been recruited for the leading role—Mr. Ali from Malaysia, formerly the Duck King executive chef—and the menu will extend into more duck and seafood specialties, with VIP rooms and events space set upstairs from the main à la carte floor on ground level. 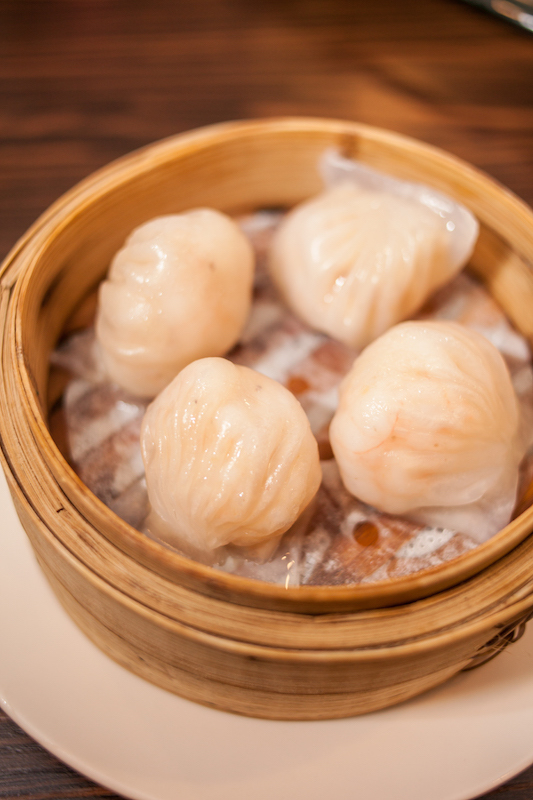 In any case, if you have a penchant at all for dim sum, keep an eye on this brand, as the Garden Mall location it has inherited from the bones of Thuan Kieu Plaza may well be the stirrings of an important emerging local chain in years to come.